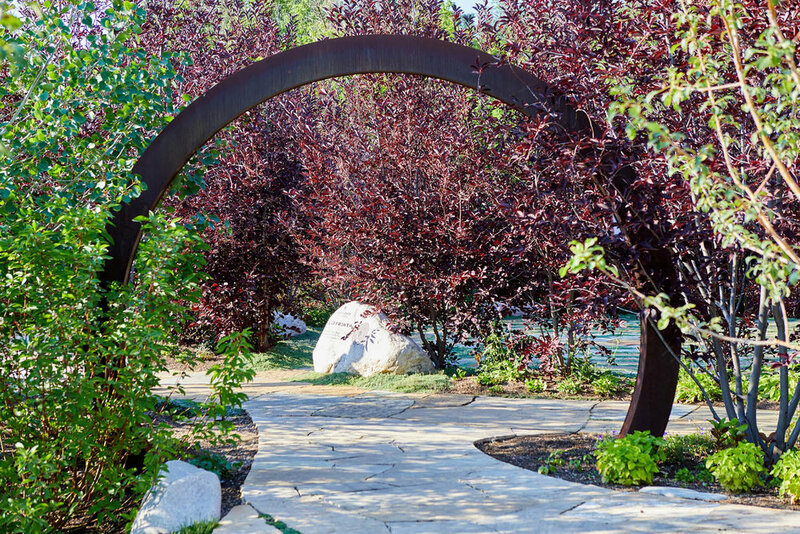 The Peace Garden at True Nature Healing Arts acts as a restorative and centering environment where intentional, therapeutic installations are connected by organic, curved pathways and lush landscaping. Created by True Nature’s founders Deva and Eaden Shantay as a gift to the community, the serene space continues to develop. Started as a functional garden for edible produce and medicinal botanicals for the center's Café and Spa, the Peace Garden has evolved to become an important community hub and tourist destination, open seven days a week from dawn to dusk. The garden is free of charge to visitors, however donations are greatly appreciated to help support maintenance of the grounds. Each element of the Peace Garden is infused with the aromatherapy of herbs and the vibrant colors of the well-chosen foliage. The garden is planted entirely with native and adaptive plant life, nurtured through biodynamic, organic gardening practices. You're invited to explore the garden's healing features and intentional elements below. 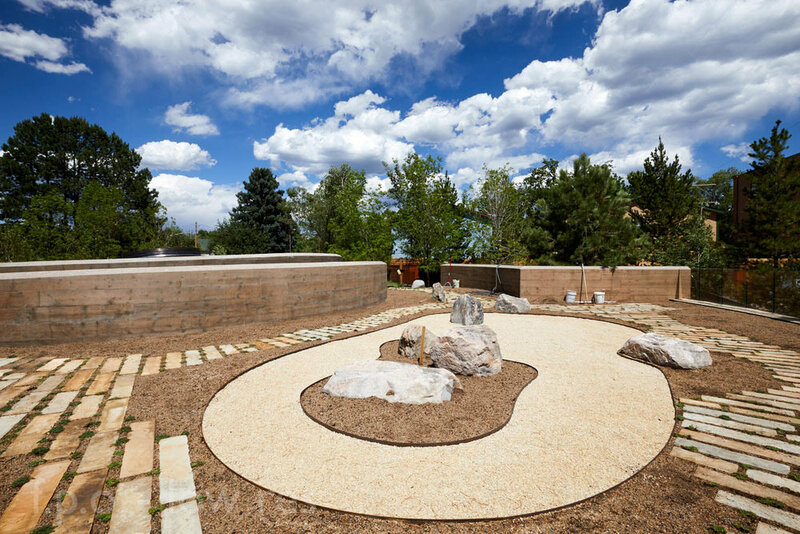 Sitting on top of the Kiva, the Zen Garden fosters both interaction and mindful meditation with a winding path that surrounds a rake-able gravel garden. The Zen Garden also provides incredible views of the entire Peace Garden and surrounding landscape. 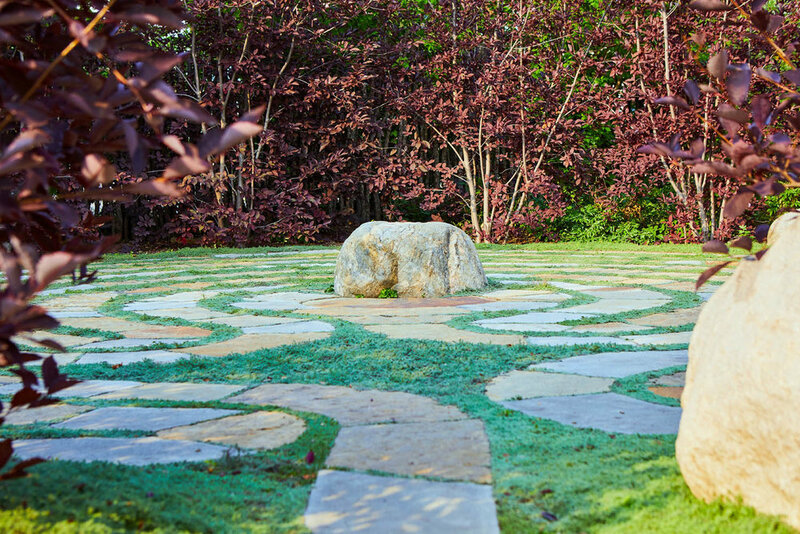 Explore the serenity of moving meditation in the Peace Garden's Labyrinth wrought from hand-cut sandstone enveloped in Wooly Thyme and surrounded by Canada Red Chokecherry trees. Enter the sacred space with your intention. As you walk gently on Mother Earth, listen and receive from all that surrounds you and lies within. As you make it to the center, hold within your heart what has arisen — knowledge, insight, wisdom, and love. Then, as you work your way outwards, through the spiral, consider how you will share the gifts received on your journey of self-discovery. Each organ and system of the body is accessed as you walk barefooted on the Reflexology Path's therapeutic mosaic of stones, all designed to massage and stimulate reflexology points. Designed with the help of an international expert and a host of talented landscape designers and artists, True Nature’s Reflexology Path is the only one in the world based on five elements of yoga philosophy. After you complete the walk, rub your kidneys vigorously and drink a full glass of water to flush the impurities released by this life enhancing experience. The Wishing Tree serves as an interactive art project and a powerful way to communicate your intentions to the universe. 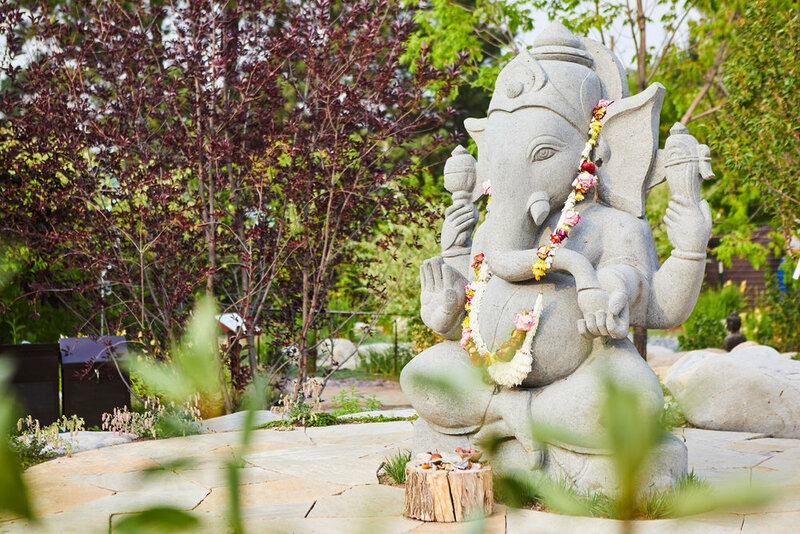 Take a piece of the beautifully colored cloth that the Ganesha statue came packed in, write down your prayer and tie it to the Wishing Tree so that your thoughts and wishes may be carried to the source by the winds that blow. We also welcome offerings at a memorial for loved ones who have passed. Place your pictures and sacred objects on the large flat stone sitting under the Wishing Tree to honor their transition back to the light. 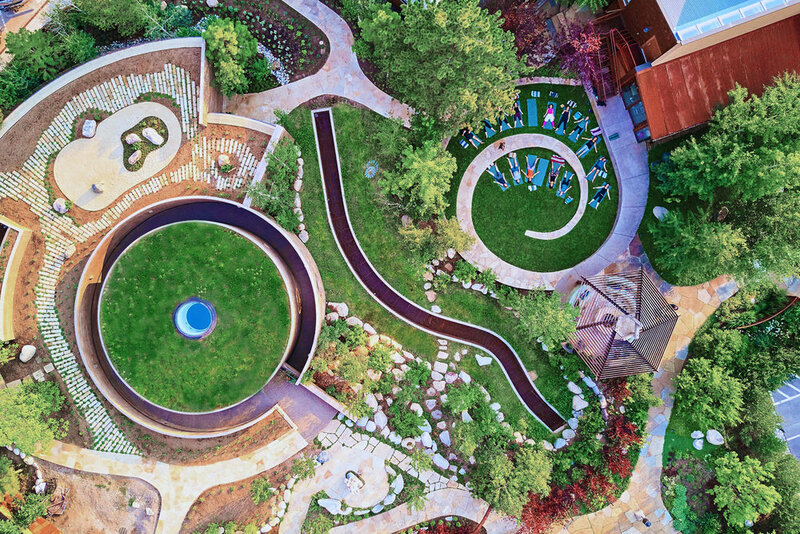 Representing the Earth element, the outdoor Yoga Spiral offers room for 30 students to practice, surrounded by soft clover grass and a grounding concrete spiral. Join an outdoor class in the spiral or spend time with friends over a picnic lunch in the sensual surroundings. Enjoy the sounds of the brambling creek just to the east. Shaded by a reciprocal roof structure, surrounded by handmade earthen cob benches made of locally sourced materials (clay, sand, and straw), and covered in Tadelakt, an ancient Moroccan limestone plaster finish, the Fire Circle provides a place for live music, teaching, socializing, and connecting with the spirit of fire.